There’s growing understanding about autism across society, but what does it mean to be a student and autistic? Life to date has been far from straightforward for Computer Science undergraduate, Hannah Khan. Having been diagnosed with Asperger syndrome (a form of autism) while at secondary school, her GCSE and A-Level years were dogged by personal and emotional challenges – the type that could have derailed many. “I was about 13 or 14 and a doctor just said to me ‘I think you have Asperger’s – look it up’. That really was the extent of it. It was a complete nightmare and sent me into denial about what I had and what I could do,” she recalls when we meet on campus. As she approached final A-Level exams, Hannah’s grandfather – who was playing an integral part in her life – became ill. Having previously relied on him for a lift to college, she now had to tackle noisy, public transport by herself. “I ended up missing a lot,” she admits. Despite her natural abilities, the experiences of A-Levels left her unsure of what to do next. “I had always wanted to go to university, but then I started to consider that there might be better options for me. My concerns were mainly to do with the autism support, because I have quite complex needs.” The first in her family to consider higher education as an option, her decisions were not just influenced by courses, teaching quality and other criteria common to many would-be undergraduates. It was also a case of weighing up which university could best help her navigate work, studies and social life, and where she could feel most at home. By chance, Hannah came across an advert for our Autism Summer School. The three-day initiative – run through our Centre for Applied Autism Research – gives autistic students the chance to experience all aspects of university life, helping to reduce anxiety and build confidence. It is offered for free thanks, in no small part, to generous support from our alumni. 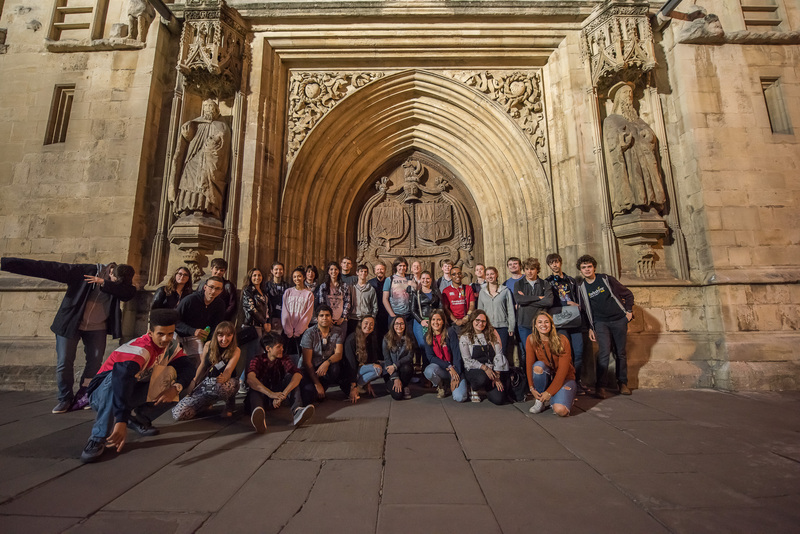 Having not made up her mind about university – the summer school is open to all students with autism, irrespective of where they want to study – the experience gave her a flavour of academic life and a sense of what proper support might look like. As a consequence, she began to consider Bath as a logical next step. Fast-forward two years and Hannah stands as a symbol for triumph over adversity. One of 50 new Gold Scholars, each benefitting from dedicated financial but also social and mentoring support, she’s making new friends, and taking advantage of the range of opportunities university has to offer. “I’ve coped better than I imagined I would. I expected I’d come to university and have a meltdown every week… it’s now more like every other week! But generally it’s just more manageable than I expected it to be.” Most crucially, she now wants to draw on her experiences – the good and the bad – to positively influence others who are facing similar challenges as a result of autism. According to Professor Mark Brosnan, Director of the Centre for Applied Autism Research, one of the key challenges for students to overcome is opening up about their autism diagnosis. He explains how many people are reluctant to do so, often influenced by past negative experiences. But, by drawing on his recent research, Mark suggests that being open about the diagnosis is not just key to getting the right support, it has benefits socially too. The kind of care put in place to help talented young people like Hannah into higher education is now being replicated at the other end, with a newly-introduced Bath Employment Spring School for Autism. By teaming up with JP Morgan – whose Autism at Work programme in the US is already making important inroads in tackling these challenges – Mark and colleague Dr Chris Ashwin are trying to address this here in the UK. “This collaboration is about valuing the incredible contributions autistic people can make and finding new ways to help them find meaningful work,” he explains. JP Morgan’s programme is designed to improve employment opportunities for autistic graduates by developing their job hunting and interview skills. The company also aims to capture strong talent by improving their own interview techniques, deploying new training for managers and non-ASD colleagues. Somewhat unexpectedly, she announces that she’s also a talented musician and in between her studies finds time to front up a metal band. The noise, it transpires, doesn’t affect her if she’s the one making it. At the time of writing, ‘Synthetic Mutations’ have just played Battle of the Bands in Bath. 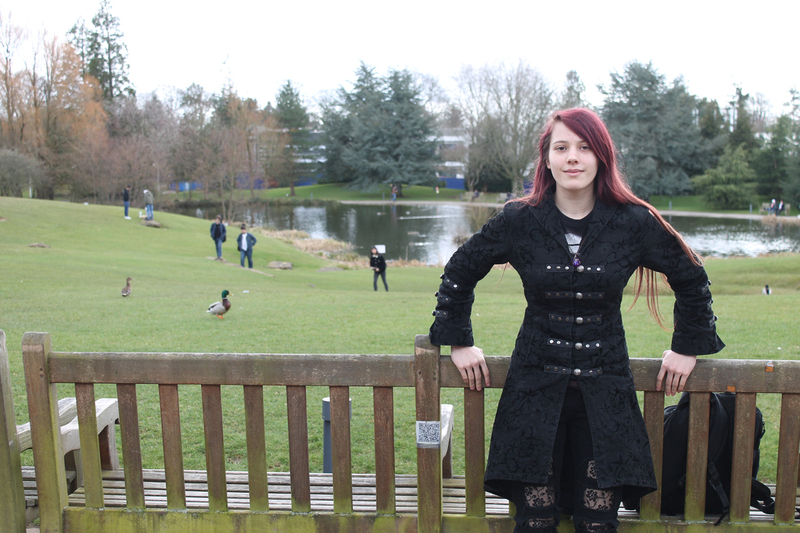 Whether hers is a career in cybersecurity or performing in a metal band, Hannah’s story serves as a timely reminder that being autistic need not limit your opportunities.